This is probably my favorite picture. 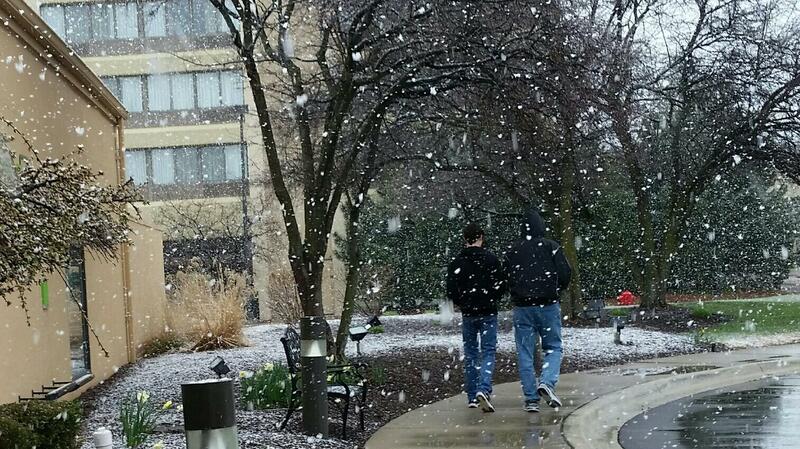 Me and Eli 14.8 walking through the snow in Detroit in early April. Gloria was a little ways behind us and took the picture.